It is a truth that none of us are getting any younger. We do what we can with healthy diets and exercise but the fact remains that our bodies will betray us. Here on the farm the hubby and I are seeing that betrayal – his knees are giving him a lot of problems and for me it’s my hips. 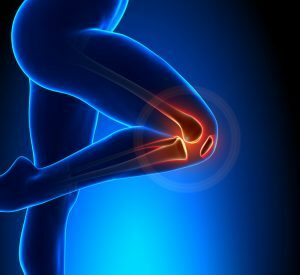 Thankfully there are places to start looking for answers when looking for knee and hip pain help and I would like to share one of them with you today. First let’s chat about joint pain. Is it impacting your life? The hubby was a runner from when he was a very young man. When we first met 35 years ago his chosen form of exercise was to lace up his shoes and go out for a run. He would always say that he loved the peace he found as he found his stride and covered the miles. I would see how happy he was when he came in from a run and how good it made him feel for days afterward. He never over trained and there were times when the commitments of his job kept him from running as often as he might like. Still, all of those years took a toll on his knees. Around 5 years ago he starting experiencing a lot of pain after a run. He went to the doctor and was told no more running. His knees were just too damaged. So he took up riding a bike. That worked for a while but soon his knees were bothering him again. He thinks he needs a knee replacement but what if there are other options? Less drastic options. Why should he sit on the sidelines if there is something that can he can do to alleviate his pain? I keep telling him to sit down with an expert; things have changed a lot in recent years and it would do him some good to learn about what is available now. I was happy to learn about Time To Hit Play. It has a lot of valuable information about doctors who can help. For example, there are injections that might do the job for a while. The hubby is not the only one having joint pain around the farm. I’ve been having problems with my hips for the last few years. Right now my doctor is just keeping an eye on things. My biggest issue at this time is sleeping – I fall asleep, my hip starts to hurt, the pain wakes me out of a sound sleep. I roll over, I fall asleep, my hip starts to hurt, the pain wakes me out of a sound sleep. I roll over….you get the idea. It’s only been recently that I’ve had any problems outside of lying down. Some mornings the pain will persist in my left hip until mid morning as I walk and move around. So who knows what is next for me? Right now I am not going to let it stop me from taking my walks in the woods or enjoying my day trips with the hubby. If you are experiencing similar issues well, my first suggestion is: DON’T GET OLD. 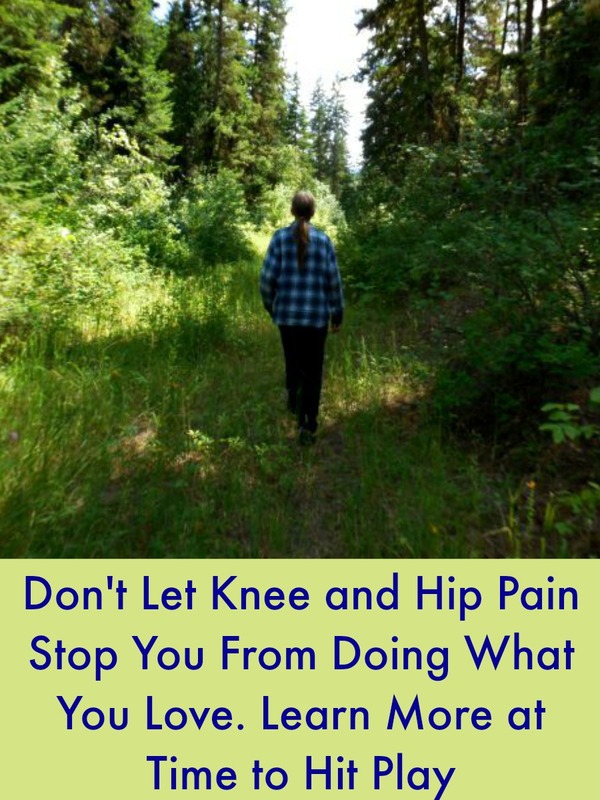 Are you ready to get knee and hip pain help? I truly hope that the information I’ve given you here will help put you on the road to a pain free future. Time to Hit Play is a great place to begin. Use the convenient Physician Locator to search for a doctor in your area. Do you have joint pain? If so, where?